1.00 The objective of this policy is to support the Broader Public Sector Procurement Directive (BPS Directive) by ensuring ethical, efficient and accountable sourcing, contracting and purchasing activities within Wilfrid Laurier University. 2.00 Supply Chain Code of Ethics: The Broader Public Sector Procurement Directive defines defines acceptable behaviours and standards that should be common for everyone involved in supply chain activities such as planning, purchasing, contracting, logistics and payment. Supply Chain Guideline: Ontario's Treasury Board of the Cabinet directed that a Supply Chain Guideline be prepared and, as of April 1, 2009, be incorporated into the funding agreements of BPS organizations receiving more than $10 million per fiscal year from the Ministries of Health and Long-Term Care, Education and Training, Colleges and Universities. Supply Chain Guideline Version 1.0 addresses the first 2 Principles that must be addressed and implemented by March 2010. They are the Supply Chain Code of Ethics and Procurement Policies and Procedures. The Supply Chain Guideline was replaced by the Broader Public Sector Procurement Directive effective April 1, 2011. The Directive still includes the Supply Chain Code of Ethics but the Procurement Policies and Procedures has been superseded by the Directive. 3.00 This Policy and related procedures applies to all members of the University community and to all procurement and supply chain activities regardless of the source of funding; namely operating funds, internal and external research grants, research institute funds, etc. 4.00 It is the Policy of Wilfrid Laurier University to adhere to the BPS Directive and to spend the funds entrusted to it in a cost effective manner subject to the terms and conditions of donors, grantors and government agencies. This will be accomplished by establishing procedures and standards for the sourcing and procurement of products and services in a cost effective, efficient, fair and sustainable manner in adherence to the mandatory requirements outlined in the BPS Directive. Procedures must be structured to meet all Federal and Provincial laws that govern competitive bidding practices in Canada, to protect both the University and the individual purchaser from potential liability that could result from a challenge of a contract award, and to ensure compliance with Provincial, National and International Trade Agreements and other applicable legislative requirements. H. Administration of the Corporate Purchase Card system. All purchases of valued at $5,000 or more, shall be documented on a purchase order contract issued by Procurement Services. A purchase order contract will be issued by Procurement Services only upon receipt of a properly completed and authorized purchase requisition form. All consulting services, irrespective of value, must be competitively bid. Consulting services from $0-$100,000 must be done by open public bid or invitational bid to at least three suppliers. All consulting over $100,000 must be competitively bid by open public bid. For individual purchases under $5,000, the foregoing process is optional, except for consulting services. Faculty and staff may acquire the needed goods and services directly, on approved supplier credit, by their Corporate Purchase Card, or seek reimbursement through the cheque requisition process for acquisitions made by personal payment. Items of a specific nature which are ordered on a repetitive and frequent basis may be handled by a standing or blanket purchase order issued by Procurement Services. 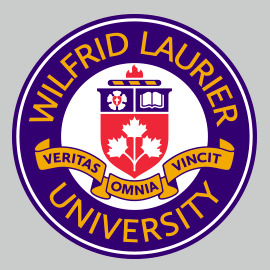 The Wilfrid Laurier University Purchase Card Program establishes a more efficient, cost effective method of acquiring and paying for small dollar purchases. The program is designed to reduce departmental purchase orders, invoices and approvals, cheques issued, and to eliminate need for petty cash and personal funds reimbursements. The Purchase Card can be used for acquisitions up to $5000 per transaction Procurement web site. E. All RFIs, RFQs, RFPs and Tenders for any and all renovations, changes to space or work which would change the layout or configuration of any assigned space an all campuses for all contract values including the subsequent award and management. Where tendering (formal competitive bidding – RF(X)) is used, bid opening should be attended by a representative of the architectural/design firm, a representative from Physical Resources, and a representative from Procurement Services. This chart identifies procedures relative to procurement value. Obtain 1 verbal or written quote. The P-Card may be used to procure goods and services less than $5,000 per transaction. A Purchase Order is not required for goods and services valued under $5,000. Consulting services require a minimum of 3 invitations to bid. Obtain 2 or 3 written quotes. A Purchase Order is required. Minimum of three suppliers required to be invited to bid. Reference listing of contactors in good standing. Preferred suppliers list (pre-qualification process). Bids must be accessible to all Canadian suppliers through the use of MERX, advertisements, in daily newspapers, or preferred suppliers lists. May be invitational if it is non-consulting and meets certain AIT criteria. Post on MERX for Ont. and Quebec. Construction opportunities are allowed the additional options of advertisements in daily newspapers or the use of a preferred suppliers list. Public posting required on national website. Both AIT and Ont./Que. agreement apply for construction.